Traveling worship leader and secret place songwriter Ryan Hall is no foreigner to the courts of heaven—his songs drip heavy with heaven’s peace and preeminence. Together with his wife, Ryan and Karen are the minds behind the band: the halls. On their recent sophomore release “Filled with the Light” the two have managed to capture a sense of breathless wonder and heavenly anticipation in musical form. 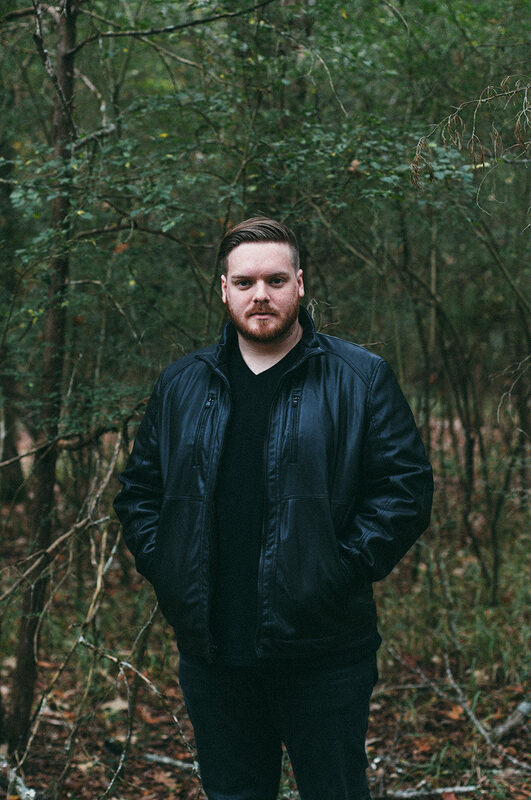 Reminiscent of an early Josh Garrels or John Mark McMillan record, Ryan’s vocals are supported by a symphony of guitars and mandolins that give away his Nashville address. “Psalm 100” features a drum line that drives the angelic post-chorus anthem, whereas “Give My Life” features strings and cymbals (as well as a hauntingly sweet vocal accompaniment by Karen). All in all the groups’ new EP is a beautiful blend of singer/songwriter and folk that will bring you back to only your best times in scripture. the halls continue to travel the world teaching and leading worship, frequenting cities in both England and France. Their heart is to serve pastors and church leaders, encourage the local body, and ultimately to see intimacy with Christ increase within the church and even deeper within the cities they visit. Follow the halls journey on Instagram or Facebook, and listen to their new EP “Filled with the Light” on Apple Music today! To read more about this site and our vision behind this project, access our “About Us” page or subscribe to our blog on the sidebar up and to your right. 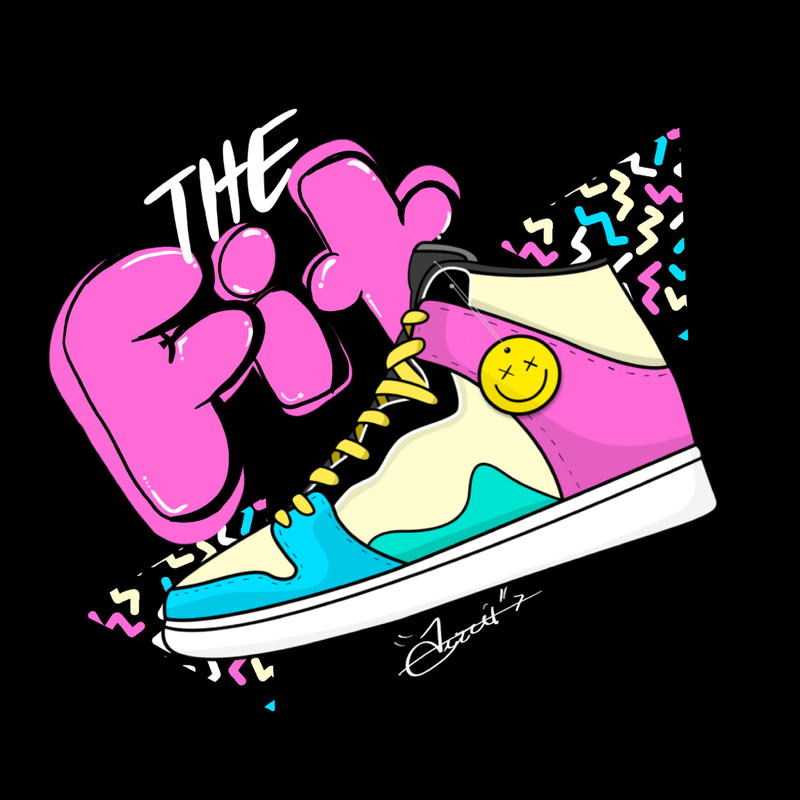 Though it may be mid-winter and freezing cold to most Californians, Dezzei brings the heat with his sophomore single “The Fit“. 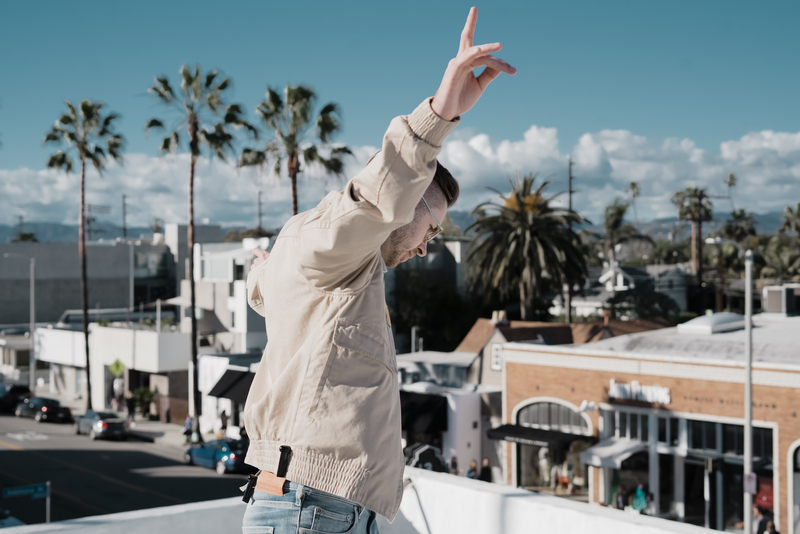 Dripping in fresh designer wear from Scotch & Soda, you’ll find this new hip hop artist dancing in Venice Beach this morning in his new music video. Not more than a month ago, Dezzei blew us out of the water with his debut single “Turn My Dreams Up” landing himself on multiple hit playlists by the likes of Gospel Hydration, Mr. Galaxy, and Sound Seekers. With his new single out today, Dezzei does not seem to be slowing down anytime soon, having announced that he’ll be releasing a new song every month. Since he moved to LA in April of last year, this Ohio-native has partnered with One Voice Music and helped author and non-profit founder Brian Barcelona launch a music collective geared towards high schoolers in America. With One Voice Student Missions, Dezzei is developing and producing young artists from some of the worst high schools in inner-city Los Angeles. In the face of historically high suicide and shooting rates in America’s High Schools, Dezzei seeks to influence youth culture nationwide through his music. In addition to putting out releases every month of 2019, Dezzei will hit the road with Banning Liebscher and Kim-Walker Smith of Jesus Culture, Jeremy Riddle of Bethel Music, and more, over the three state “Vox Tour” this summer. Listen to more of Dezzei’s music and keep up with him on Instagram and Spotify, or learn more about his upcoming tour with OVSM here. The album proclaims God’s sovereignty from both the mountains and the valleys, taking us from triumphant choruses (Lord of All the Earth) to heart-wrenching ballads about trusting God (Job’s Song). Fusing together his background in gospel music with his years in the house of prayer, the album lands somewhere between an early Jesus Culture record and a Jaye Thomas CD. “[Having] James’ vision partnered with such a diverse group of musicians was explosive—I can’t wait to see how the heart of this record shifts atmospheres for the kingdom,” comments drummer, Arin Ilejay. Now only a week before his own wedding, James is ready to share his songs with his supporters and with the general public. 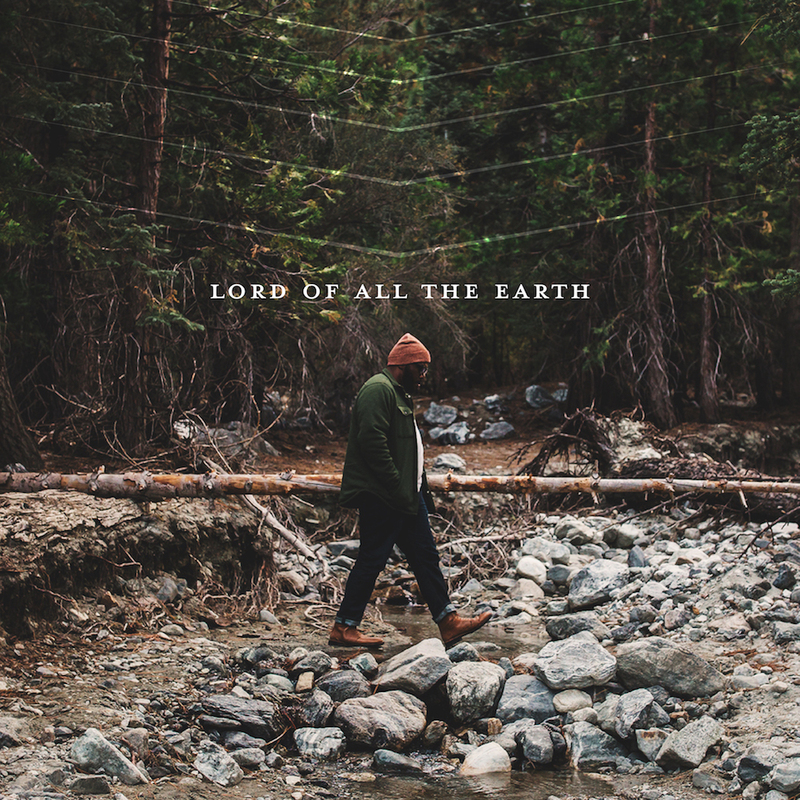 Take a second today to listen to Lord of All the Earth on any music platform of your choice. For more information about Musicianary Music, visit our About section in the top menu. 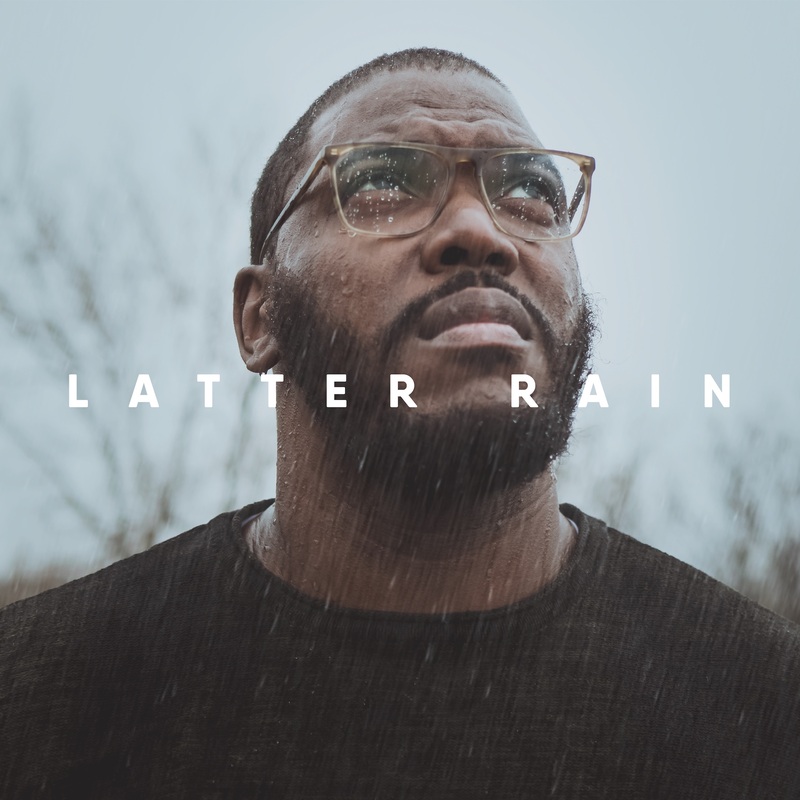 After a successful Kickstarter campaign this last December, international worship leader and singer James Jackson, makes his CCM debut with his new song “Latter Rain”. Part of the upcoming release of his full-length album later this summer, James says he didn’t originally plan on releasing a single. James’ new single hits online music stores this Monday. James hopes the song will strengthen the church and stir up faith in to believe that God is sending a new revival to America and to the nations. The sophomore EP “From Canyons to Plains” from Oklahoma-based singer/songwriter Kevin Skillern—the breath and life behind Ezekiel Songs—marks a new chapter in his career. Saturated with rest and quiet reassurance, Skillern sings the prayers collected over the last year with a newfound strength. There’s no depth, no place where Your love can’t reach. Canyons deep and dark, but Your river carries me. From Canyons to Plains, released exactly a year after his debut album Quiet, Strong Heart, picks up right where he left us. His voice in a way, is more calm and his arrangements more simple. A new distinct echoey room-reverb (reminiscent of Rivers & Robots production) alludes to the “open space” Skillern has been brought into, and quite possibly resembles the acoustics of the local venues he’s been performing in around Oklahoma. It’s a step towards a more intimate, folk sound—something you would hear on a Zach Winter’s album—without betraying the country style and instrumentation that Skillern has taken on as his own. Skillern’s new EP evokes a homely, assuring presence (undoubtedly the one that led him through the canyons) that stills the soul and awakens dreams. Like a breath fully exhaled, From Canyons to Plains is a memoir to the trials Skillern has overcome. We can sense Ezekiel Songs about to take in a new life that releases the strengthening of a father; a settling in the spirit that is a seed now firmly planted in the ground. From the truth-telling troubadours of Big House Church’s creative community in Norfolk, VA, comes Olivia Dyer, part folk singer, part storyteller. Her full length album, Time & Age is a shoebox of memories, hopes, and lessons learned. Dyer is sentimental; several tracks feature the unpolished but authentic voices of friends and family. Her album art includes the floral design of her mother’s wallpaper and her fellow creatives are friends so close they could be blood related. It’s this theme that continues throughout, the attention to the little things that make her who she is. There’s a graciousness in her lyrics, from the acknowledgement of her weakness to the security of the profound wisdom and heritage she’s received to the questions she’s still working out. Olivia recorded her album with Everett Hardin at Red Yeti Audio in Boone, NC. Everett is known for his work with artists like Benjamin James and John Lucas. Dyer’s voice is lacy, delicate, precise. To the followers of Sean Feucht it might seem familiar; that’s because she was featured on Messengers’ track Making Melody. She knows herself and what she can do- there’s not a struggle to conform to the belting powerhouse persona many female vocalists feel obligated to. Instead there is a contentment with the style she fits best, and that’s what gives the magnetism. There’s a clarity in her voice too, one that matches the honesty of the lyrics she sings. From the story-like details in Morgan to the close paraphrase of the Psalms in Fragile Heart, Dyer is careful to bring lifelike dimension to each song she creates. The instrumentation on the album is accessible but not boring. Piano, guitar and strings carry all the charm of acoustic sets but remain in humble servitude to Dyer’s voice. For classification’s sake it would be easy to call the album folk, but it’s the little touches that set the songs apart from the expected Americana storyteller mold. For example, My Life is Not My Own carries a grittier climax, thundering with toms and swelling strings (not to mention Ian Randall Thornton’s gripping voice). Time & Age uses plucky strings to gain that quirky Regina Spektor vibe mixed with steady kick drum and claps a la Rend Collective. Lover Has a Lover gives some bluesy grooves with a shadowy Leslie and a dirty electric guitar solo. Olivia Dyer has written songs like every other capable non-professional songwriter. They’re personal, they’re truthful, they’re solid, they’re vulnerable. But what sets Time & Age apart is the incredible and unmoving feeling of constancy that the listener is left with. In only 11 songs, Dyer manages to pay homage to the heritage she’s received, both from her spiritual and familial communities. It’s truly a beautiful thing to see this set in song, for in it we not only see the past, but also we see an establishment of her own legacy. With simple and tender lyrics, To Find You uncovers the secret prayers of Kelsie Plante, musicianary to the Middle East. The album is short, only 8 songs, but what it lacks in duration it makes up for in memorability. Plante’s songs are easy to sing along with; her modest melodies are accessible even to the most unskilled singers. These highly syllabic choruses are backed by the ear-candy of producer/musician extraordinaire Jeff Schneeweis, who characterizes each track with a different part of his musical imagining. Through the Walls features an ever-moving treble piano pattern floating high over an electronically simulated deep bass and delicately syncopated wooden percussive sounds. Nearness takes a shadowy turn, dusky and intimate, entreating God to come close to his beloved. Root Me features an upwards stepping melody, methodically forward moving and unfolding, mirroring the ascension of a soul in the presence of the Almighty. The title song takes a cinematic turn with low chordal piano accompaniment, pulsing crispy percussive snaps, and transcendent background vocals. Though every song is a part of Plante’s journey finding God’s heart for the lost, To the Fatherless might just be the clearest picture of Kelsie’s vision for missions. Though the song was written years ago on her first trip to minister to child soldiers in war-torn Africa, it’s clear it’s still a burning prayer in her heart. The instrumentation is simple; her lyrics are the main focus. Though the song could be sung by just about anyone (it’s not over-involved at all) it’s her voice that sets this track apart. Kelsie’s voice is clear and smooth, brimming with a hungry energy. It’s contagious in every track, completely and undeniably her. It’s the strongest whisper you’ve ever heard, brave, intimate, magnetic. 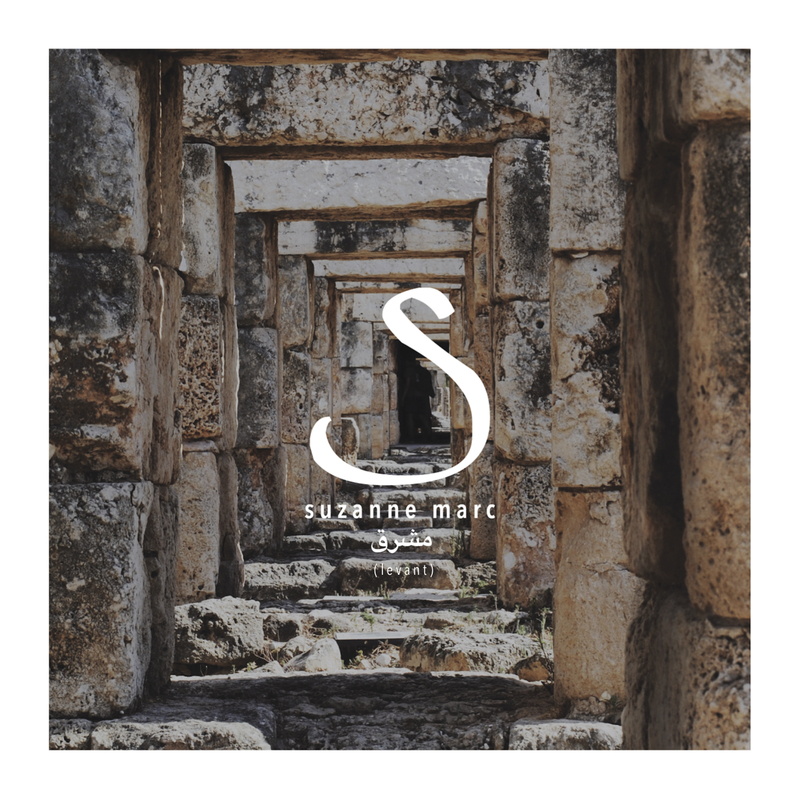 Saturated with authentic conviction, the musical experience effortlessly draws in listeners to ignite a special place in the soul, a place that desires communion with God. Buy this album on iTunes, or give more through Bandcamp! Read more about Kelsie’s work in the Middle East on her website at http://www.kelsieplante.com/. From the band Seeker and Servant, Kody Gautier has taken years of harmonic musings, poems and melodic wonderings to form his own LP, The Prevailing. Formed as a means of expression rather than a tool to please the public, The Prevailing is composed of mostly instrumental tracks that showcase what’s going on inside of Gautier’s mind. Born with Grapheme-color Synesthesia (where an individual associates numerals and letters with colors) and Chromosthesia (where an individual associates sounds with colors), Gautier describes his experience with music as intense and passionate, a veritable sensory experience. But unlike most people with this special gift, he has invited the listener into his experience. Of the 57 minutes of listening time, about 30 minutes are purely instrumental tracks. We as listeners are ushered into the soundscapes of the artist’s mind, which seems to favor epic swells and layers of strings. It’s clear in this album Gautier is flexing his compositional muscles, he’s seeing what he can do instrumentally. For most tracks, it starts like minimalist music, high on the repetitive and low on variety. But that’s the way he wants it. Throughout each instrumental track Gautier likes to unfold his experience methodically: it might start with an ever-moving piano melody, be joined with slow moving strings and finally supplemented by lower bass piano lines. His instrumental layering is like a road trip in a car- you look out the side window and see a mountain, slowly moving by. You look at the telephone lines swiftly gliding by and the grass moving so fast you can’t see each individual blade. But you’re moving at a constant speed so it all makes sense. Instrumental compositions are not all we get. In tracks like Tower God and Swing Low Gautier exposes his Post-Rock and Metal influences with aggressive vocals, heavy guitars and minor cadences. His voice hits the target every time; there’s something so fantastic about it. It’s convicting and stabilizing, It pulls you in but makes you feel so incredibly free. Though his singing time on the album is very limited, it is extremely memorable. Swing Low might be the track to listen to. A minimal and repetitive piano is the foundation of the song, ominous and foreboding. It is soon joined by a driving cymbal and otherworldly guitar feedback paired with Gautier’s stirring voice and pleading lyrics. Before You is sure to please as well; it centers around the singularity of God and the desperation of man to unite with him. The lyrics are simple, asking “What good can find us but the One/What good?”. It’s in this track we see the marriage of Gautier’s Post-Rock habits and his generous filmic traits, which could quite possibly be the niche that makes him stand out. Overall, The Prevailing is not an album to score high on the charts. It’s not a measure of success for Kody Gautier. It’s more concept than crowd-pleasing. It’s more personal than trendy. It’s simply an artist beckoning those who pass by to come and see music from his point of view. Album will be available on 7/22. Get it on iTunes this Friday at http://itunes.apple.com/album/id1126053828?ls=1&app=itunes, or on Bandcamp at www.kgautier.bandcamp.com. Andy Squyres isn’t looking to impress anyone. With a whispery voice, and a quiet energy he spills all his secrets in Cherry Blossoms. Many young folk artists write songs with lofty ideals and profound insight, and we find similar material in this album. But what sets Squyres apart from these youngsters is the way he communicates the questions that haunt him in the night, questions he has no answers for. In an interview with Carlos Rodriguez of HappySonship.com he reveals the 8 song album was born out of personal tragedy. We see glimpses of this in What Nobody Should Know when the songwriter muses that the much talked about ‘amazing grace’ becomes real when he finds himself mourning on the floor, wondering how love could allow him to get to such a low place. In Unanswered Prayers, he navigates the tension of trusting a loving God in the midst of heartbreak. But it’s not depressing in the slightest- there’s a running theme of the victory of Jesus. Oh Love Supreme looks to the sacrifice of Christ; Squyres declares there’s not a weakness he has that can come against the triumph of the Cross. The Pestle and The Mortar acknowledges the promise of God standing true during difficulty. There’s such a present-ness that Squyres possesses; it’s an art truly to remain in the great divide of trial and truth. Squyres’ musical layering is well-chosen. It seems that each track has something so subtly new that keeps the listener’s ears fresh. He uses low brass instruments in Unanswered Prayers to depart from guitar-picking folky styles we expect and take a more Gungor-esque (think: The Brilliance) approach. Featuring a sliding cello layered over deep plucking of the same instrument, Oh Love Supreme is woody and organic. Added to the musical bouquet is Labor in Vain, which blends bluegrass-gospel vocals with modern electronic effects. A loosely tuned piano paired with low brass form a perfect foundation for the un-airbrushed chorus of real-sounding vocals. Cherry Blossoms contains a more folk/slow gospel feel, with a simple piano ballad style under a crooning Squyres. Tastefully arranged, each track feels complete yet unified to the album. You’re probably not going to be singing these songs around the house or in the car; he hasn’t created them to be catchy or poppy. He’s just let us in on his process. And that process is a series of musical stories you read with your ears, thoroughly engrossed, captivated, not because of the surprise of the ending but rather the craftsmanship it takes to tell it.